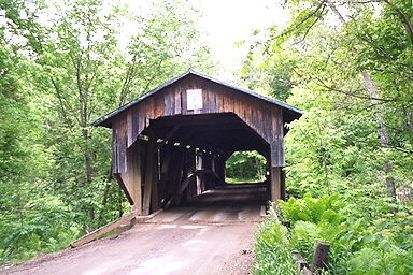 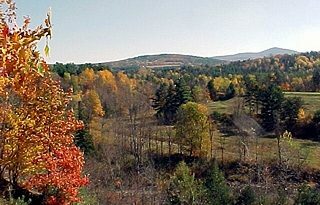 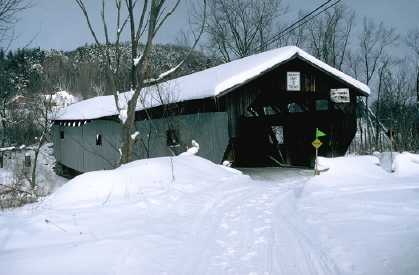 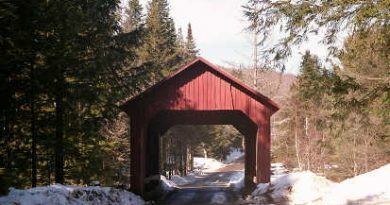 Burr Arch, 140′, spanning Lamoille River on Cambridge Junction Road, north off Route 15. 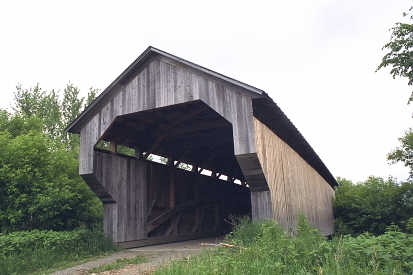 Unusual siding follows arch curve at center of bridge. 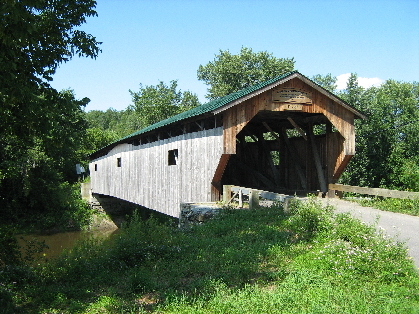 The second name, Poland, is after a retired judge who led a lawsuit against the Town of Cambridge, resulting in the bridge’s construction.